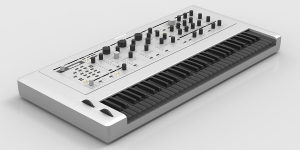 Solaris is the most powerful virtual analog synthesizer representing the quintessence of all developments made by John Bowen during his career as a sound engineer and musician. 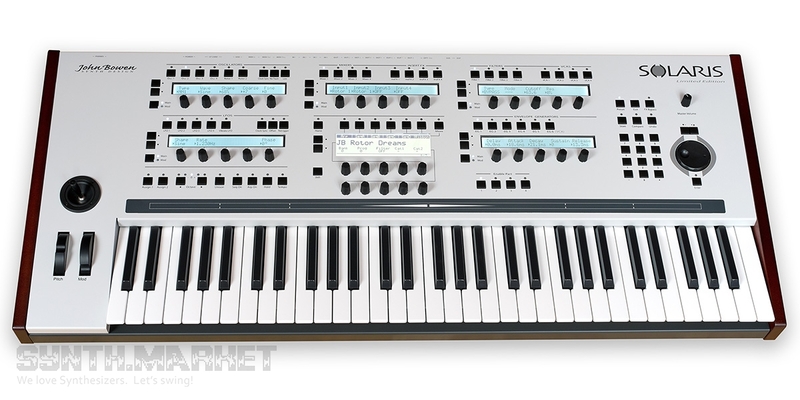 No exaggeration this is a mega synthesizer of the highest level, a remarkable unit in the history of synthesis engineering, which has no analogues, the dream of collectors and professional musicians of the classic American school, which came true for some lucky ones. 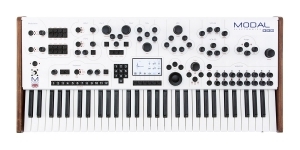 The synthesizer is produced in limited batches and you can have it if you pre-order it making a minimum prepayment of 50% of the cost – around 20 units per year are produced, in two colors and two versions of the pitch/bend wheels and modulation. 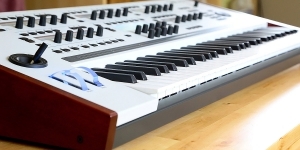 Solaris is a full-featured synthesizer which is perfect for both studio and live performance. 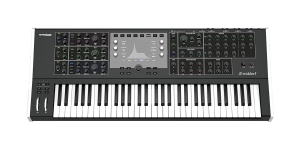 It has 10 virtual voices, all the main options for generating sound waves, including even the legendary wavetables from Waldorf Microwave (PPG), 4 types of filters (1-2-3-4 pole HPF / LPF, some BPF and BRF filter options ; SSM VCF from Prophet 5; Minimoog Ladder; Oberheim SVF from early Oberheim units; Comb-filter; formant crossfade filter); 6 five-step DADSR envelope generators; looping envelope generator; 4 LFOs + 1 dedicated vibrato LFO; powerful effect processor, 16-step four-track sequencer, arpeggiator with a variety of patterns, an exponential backoff algorithm, a multi-channel mixer with analog and digital inputs and outputs, 4 pairs of stereo outputs, and 2 pairs of inputs. 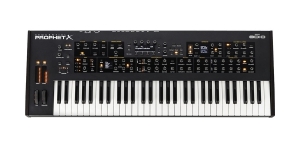 The virtual analog synthesis king has a detailed interface with 1 main and 5 additional displays (6 in total, hard to believe until you see it! 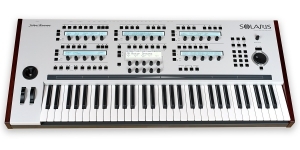 ), a quality 5-octave keyboard with aftertouch (Fatar TP-8), ribbon controller, pitch/mod wheels, joystick and endless encoders for all the main functions on the front panel. 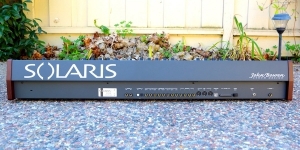 Of course, Solaris has a classic design - a metal housing with wooden sides, high quality components and perfect assembly, and a 3-year warranty. 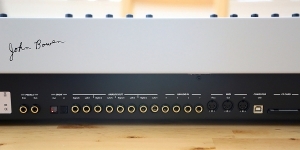 All this, of course, is worth several months of waiting and prepayment, because in the end you will get a living legend which only becomes more expensive from the moment you purchase it. This is a true investment. 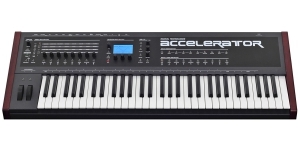 Make this purchase before it's too late!..